Cava is a sparkling wine and the Spanish equivalent of Champagne. Did you know that there are over 80 cava producers in Spain? That makes it a very popular drink! You can get a copa de cava in most restaurants and bars. The cava region is 45 kilometers from Barcelona and easy to reach by train or car. Visiting the cava region is not like visiting the California wine countries. While there are many cava producers, not all are open to the public and most require a reservation to visit. You can book a group tour from Barcelona, which will take care of the transportation and reservations but limit your flexibility, or visit on your own, which requires some research and planning. 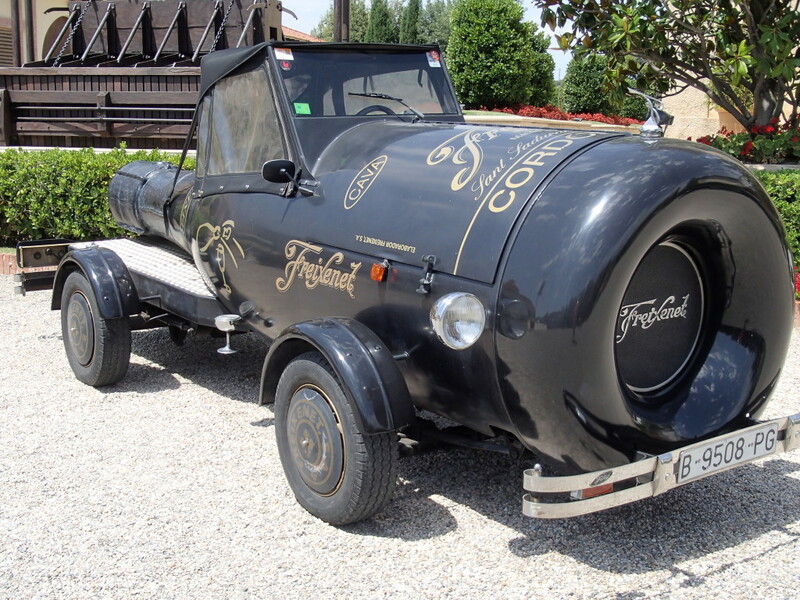 We like the flexibility of going on our own, so we checked out which wineries to visit and found that the most popular are Freixenet and Cordoniu. 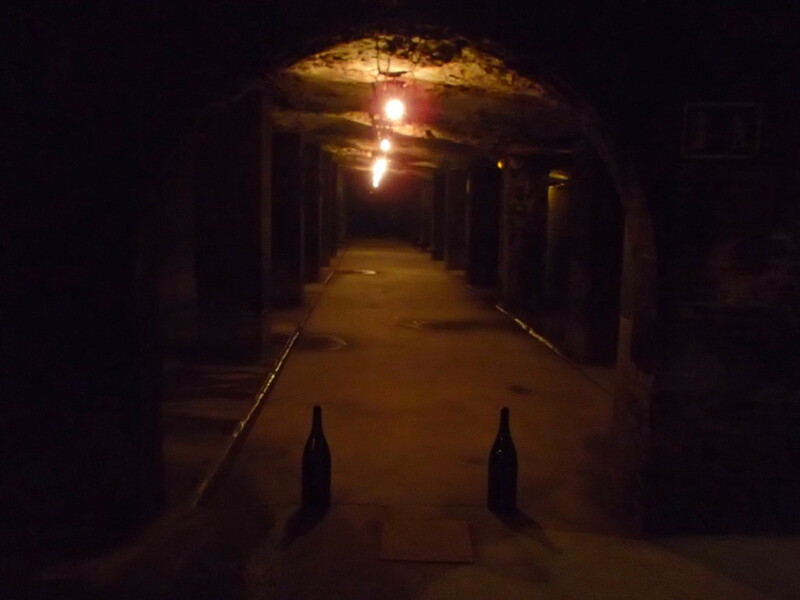 We made a reservation for the English tour at Freixenet and then contacted Cordoniu, but unfortunately their English tour was at the same time. We opted for Freixenet because it is close to the train station (two-minute walk around the corner). We took the metro to Sants Estacio and then bought a train ticket on the commuter line, Rodales, to the town of Sant Sanduni d’ Anoia. The commuter trains are similar to the metro trains – basic, no frills, but the seats are cushioned. The ride was easy – it took just under 45 minutes. We went two hours early with plans to explore the town. We waked up a curvy hill and over a bridge with a picturesque view and after ten minutes realized that the town was a bit too far to visit within the time we had. Since we were starving, we stopped at the first café we saw, Tabalots Bar – Cafeteria, for tapas and a copa de cava, of course. 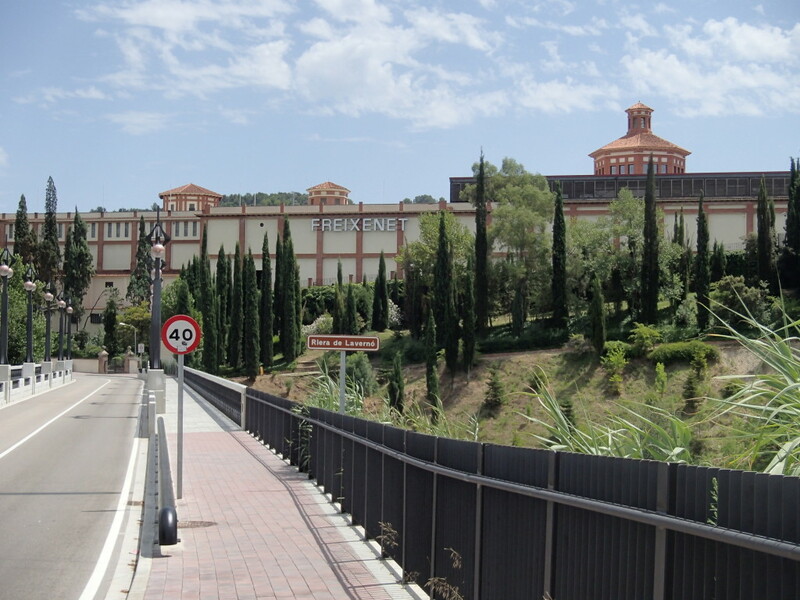 The Freixenet tour is approximately 90 minutes and includes a short film about the winery’s history, a walk through the original and new cellars, explanation of the cava-making, tram ride to the production facilities, and a glass of cava in the tasting room. 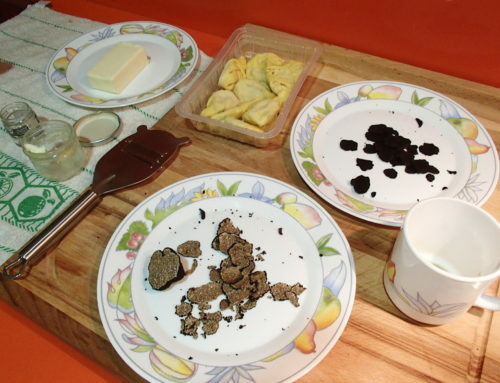 Afterwards, you can hang out in the tasting room and purchase the different cavas by the glass. Kudos to the guide, Christina, who did an excellent job! 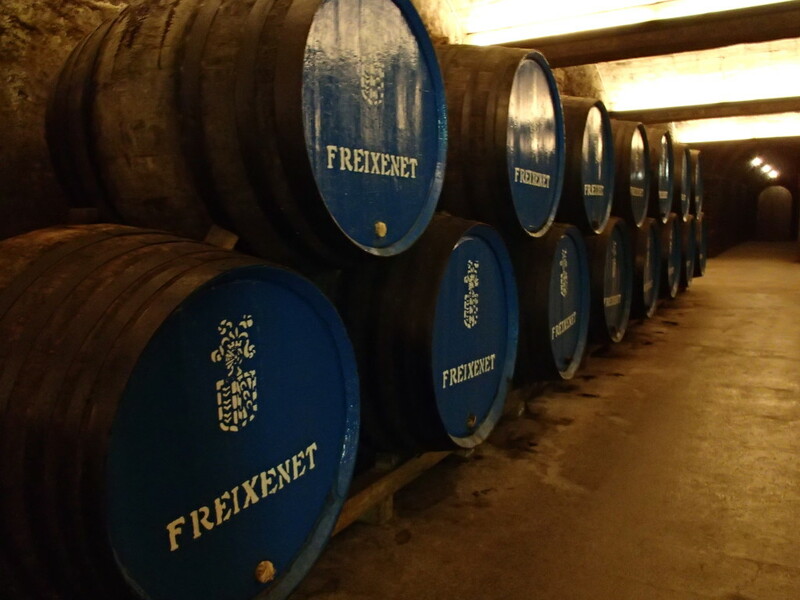 Here are some of the things we learned about Freixenet. The family-owned company is 99 years old and will celebrate their 100-year anniversary in 2014. 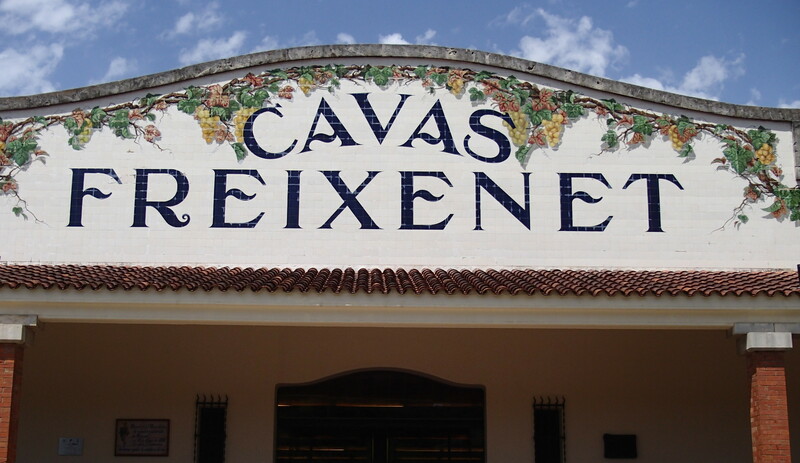 Freixenet is one of the largest cava producers worldwide – it makes 18 million bottles per year! They use three types of grapes: macabeu, xarel-lo, and parellada. 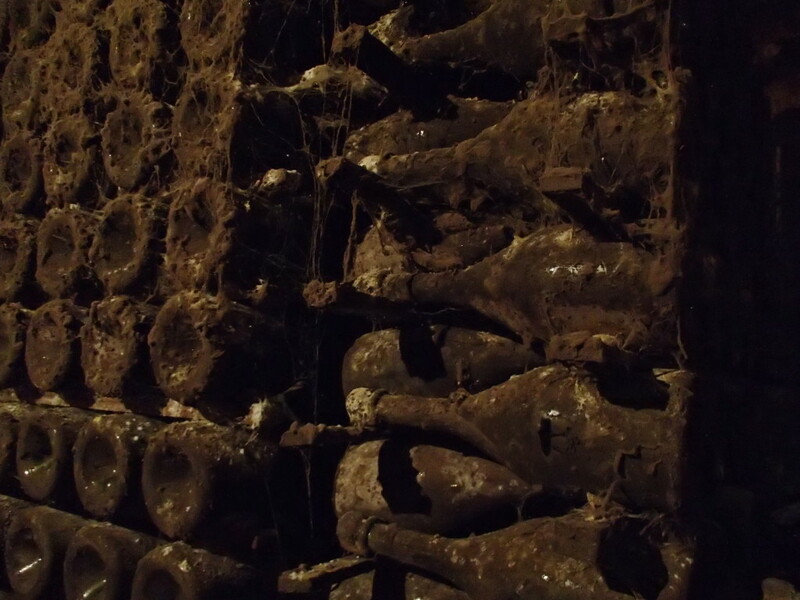 After squeezing, 60% of the output is used to make cava – the rest is sold to companies that make juice, vinegar, and cosmetics. Cava goes through two fermentations: barrel (chestnut wood) and then bottle. After fermentation, the cava is aged in the bottle: regular cava for 9 months, reserve for 15 months, and grand reserve for 30 months. When you buy cava, store it standing up and drink within one year. Salud! How to visit: You can book a group tour, which usually includes transportation and a visit to one or two wineries or go it on your own. Planning: If you are going on your own, do some research a few days in advance to pick which cava producer(s) you would like to visit. Then make a reservation online or by phone. We are glad that we only went on one tour because two 90-minute tours would have been too much. Getting there by train: Trains depart twice an hour, approximately on the hour and half hour. To check the current schedule, go to the Spanish rail website and click Commuter Trains. From Barcelona Sants station, buy a ticket on the Rodales R4 line going in the direction of St Vincent de Calders. 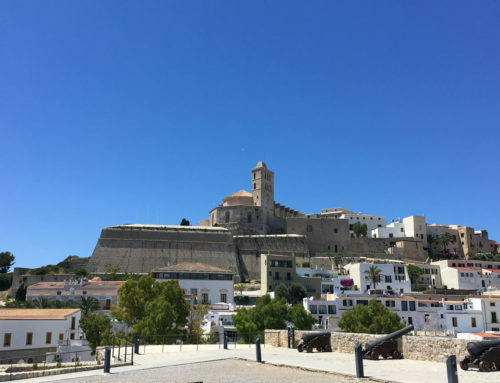 Exploring Sant Sadurni: If you want to check out the town, allow at least three-four hours before or after your winery reservation (and keep siesta in mind). Also, take the bus from the train station to the town because it is a bit of a walk. You can buy a combo train-bus ticket at the Barcelona train station ticket counter. 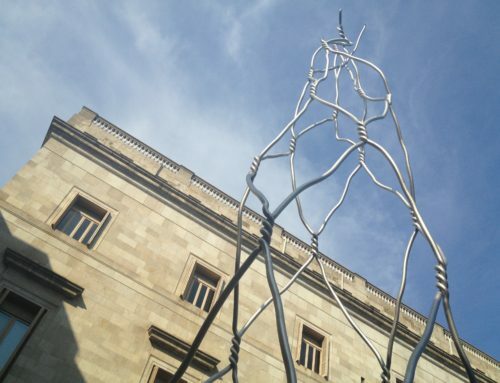 See information about the town on the Sant Sadurni d’ Anoia tourism website. Cava tasting rooms: We thought it would be cool to pop into some tasting rooms and try different cavas without having to go on a tour, but could not find any online. 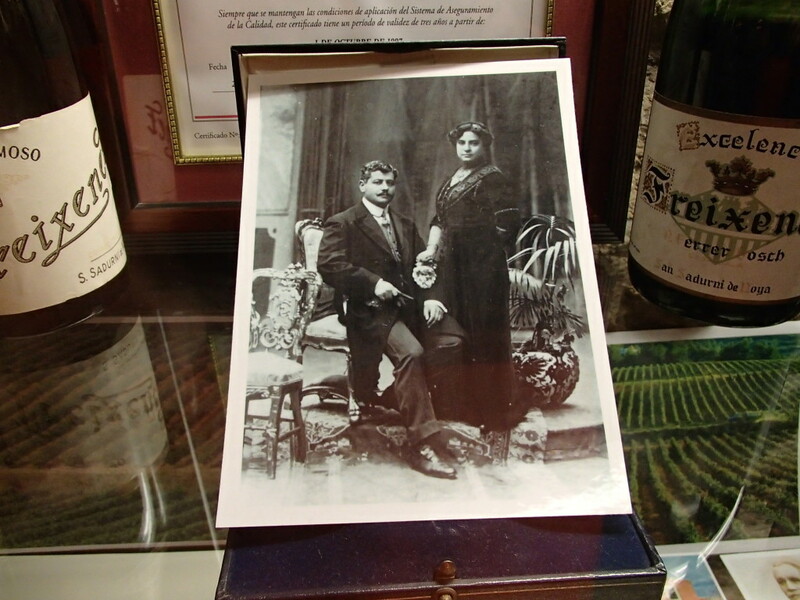 If you find any tasting rooms in the cava region, please leave a comment and tell us about it.